Gel Serum to brighten the skin from the inside out. 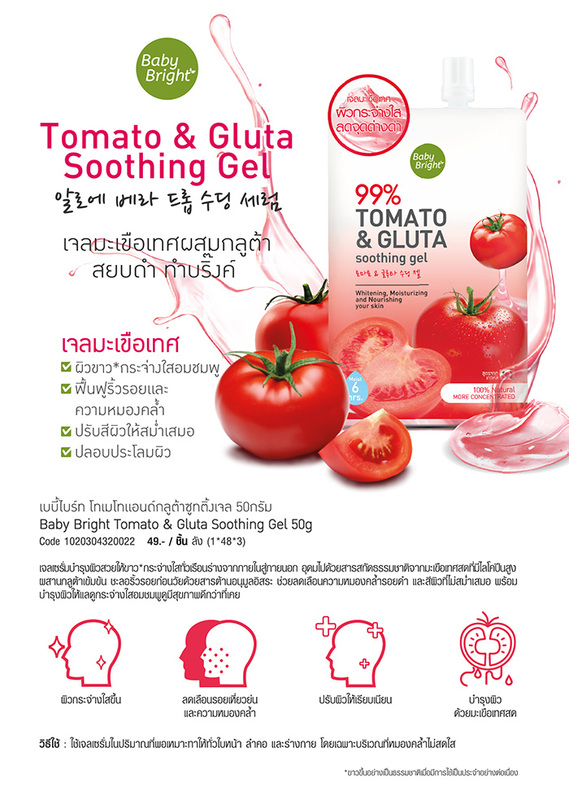 Rich in natural extracts from fresh tomatoes with high concentrations of lycopene, concentrated glutathione. Prevent aging with antioxidants. Helps reduce dark circles and uneven skin tone. The skin looks radiant pink is healthier than ever.